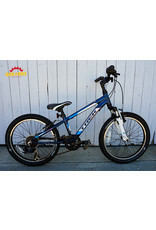 This used Trek MT60 is in good condition and has just been serviced by our shop. 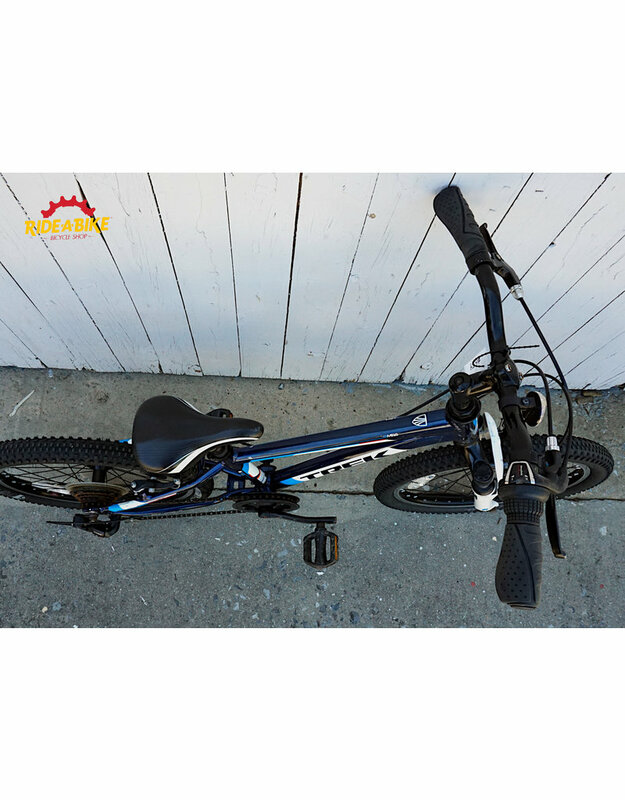 The bike has an aluminum frame, suspension fork, 1x6 Shimano drivetrain, linear-pull brakes, and 20" wheels with good tires. Stop by the shop for a test ride. We are open Tuesday-Saturday and we are available to show bikes and answer your questions during those times. 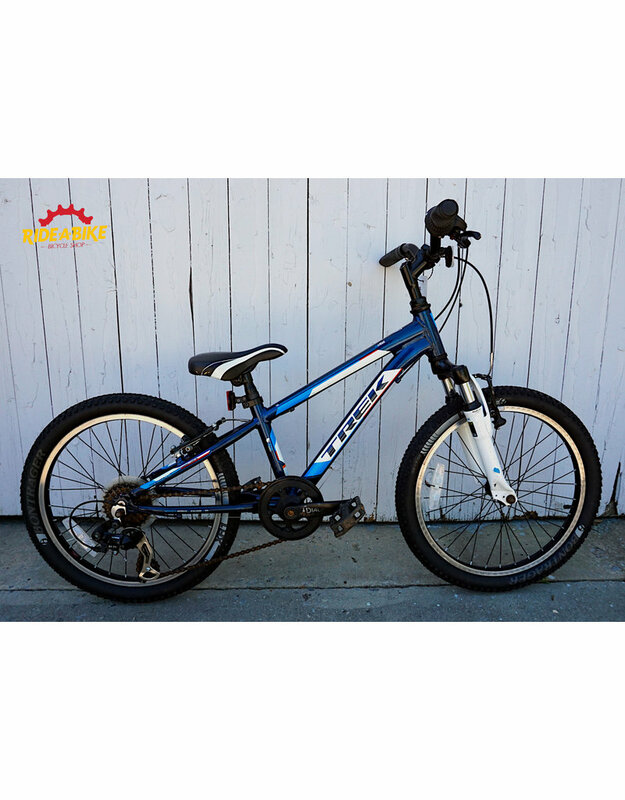 This bike is used, but is in excellent condition and has been fully serviced by our service department. 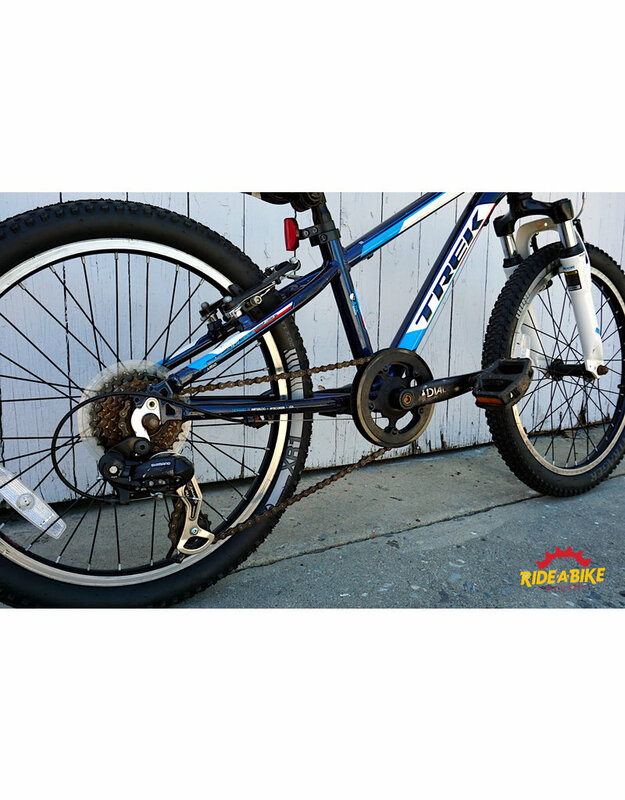 Each used bike we take in at Ride-A-Bike Bicycle Shop goes through a 40 point inspection before it is put on sale. Any known worn parts or necessary adjustments have been addressed. 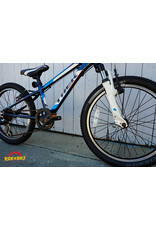 Visit www.rideausedbike.com/used for the full warranty details. 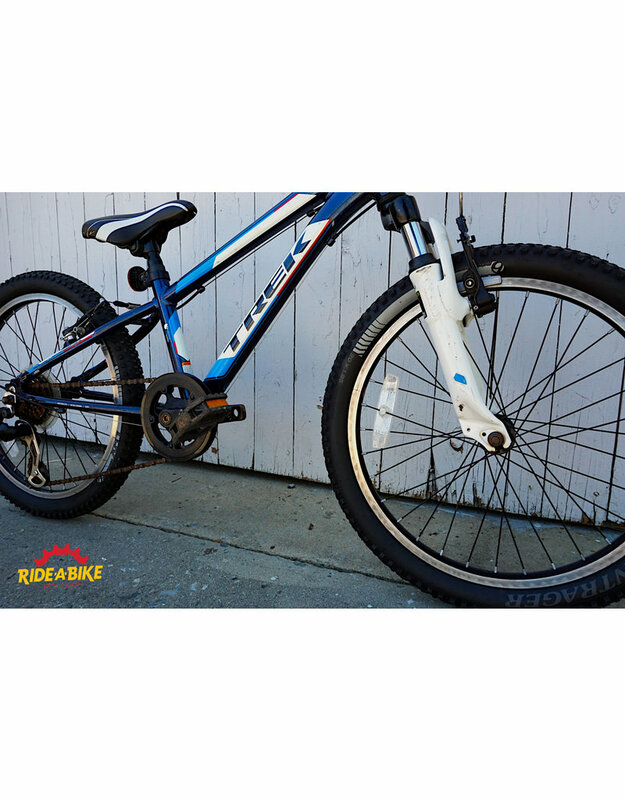 Ride-A-Bike Bicycle Shop is a full-service shop located on Main Avenue in downtown Gastonia, NC. 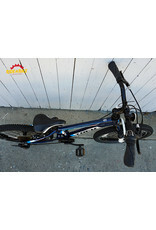 We offer new and used bicycles as well as a wide selection of parts, accessories, and apparel. Stop by the store and say hello! Visit www.rideausedbike.com for more quality pre-owned bicycles. Your cycling adventure begins here!